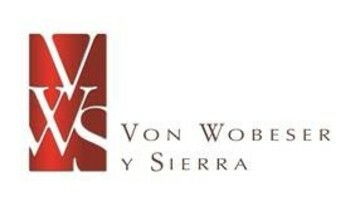 Andrés Nieto is a partner of Von Wobeser y Sierra SC. He is a member of the firm’s management committee, and head partner of the banking, finance and capital market practices at the firm. He has more than 16 years’ professional experience in Mexico, New York and Latin America. His clients appear in Fortune 50 and Fortune 500, as well as the Dow Jones, NASDAQ, S&P 500, DAX and the Nikkei. He has a multidisciplinary practice, with an emphasis on cross-border transactions, which includes experience in several of the principal transactions that have taken place in Mexico and the United States in the legal areas of banking and finance, securities, mergers and acquisitions, corporate, as well as in risk capital transactions, private equity, structured financing, project finance and arbitration. Currently, he advises many foreign companies in their most important and strategic operations in Mexico and Latin America on the full spectrum of investment management M&A transactions, including acquisitions, divestitures, majority and minority stake investments and spinouts. His clients include companies, hedge and private equity firms, and regional and multinational financial institutions based in the United States, Canada, Germany, the European Community and Asia. 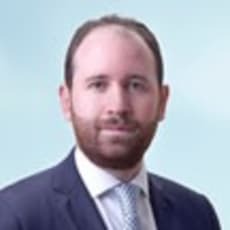 He has advised clients in the development of legal strategies and solutions in relation to, among other areas, transnational acquisitions, financial operations and bank investments, and the incorporation of companies, associations and reorganisations. Representative work includes advising Lehman Brothers during its bankruptcy process, as well as the government of Canada in the important investment it made in the financial rescue of Chrysler and General Motors. Furthermore, he was one of the lawyers that led the mandatory tender offer by which Anheuser-Busch InBev acquired the shares of Grupo Modelo, SAB de CV, worth US$20.1 billion, the largest operation in the Mexican and Latin American market.